Companies across the U.S. have decided to comply with the deadline for unlocking smartphones. For years, unlocking cell phones from American mobile carriers have caused nightmares and frustrations for consumers, but seven of these companies have now met an industry-created, voluntary deadline for unlocking those devices. This will make it possible for consumers to take their smartphones from one service provider to another. When mobile carriers had been stopping the unlocking of smartphones, it was making it extremely inconvenient for consumers to take their current devices from their current carriers over to another operator’s network. This required them to have to purchase a new device and re-load all of their contacts, apps, and other data if they changed carriers or even if they travelled to another country that was not within the reach of their home provider. Now, with the voluntary compliance of seven U.S. mobile carriers, this will become much more pleasant for consumers. That said, it is important to note that this still doesn’t necessarily mean that consumers will be able to hop from one carrier to the next without a second thought. It is important to note that even when a mobile device has been unlocked, it doesn’t necessarily mean that it will be compatible with the consumer’s new service provider of choice. Each carrier uses its own selection of wireless spectrum bands and technologies. Therefore, a consumer will need to first check to be sure that the device will actually be compatible with the desired company’s tech. 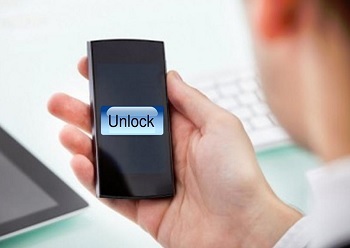 The deadline for the unlocking of the mobile devices was first set in December 2013. It was created by the wireless industry within a CTIA Consumer Code for Wireless Service provision. It states that the wireless service provider will unlock a consumer’s postpaid mobile device should the customer make that request, provided that the account is in good standing and the individual’s service contract terms have been met. Mobile carriers will also wait no longer than one year after initial activation to unlock prepaid devices and if that device isn’t automatically unlocked, the companies will provide the owners of those devices with a notification when the time has come that their smartphone is eligible for unlocking.